That moment, when you listen to some random music and lyrics. It’s really dope and for some reason, you cannot recollect the song. Well, you can always Shazam it, call Google Assistant to your rescue, or Google the lyrics, etc. But out of all these apps, which one’s the most accurate, fastest or convenient? And on that note, here are several ways to Identify the song around you. And, there are good chances that these apps are already installed on your phone. Now, in order to identify the accuracy of the apps, I took 5 different songs. All of these are from a different genre ranging from popular Hollywood music to regional Hindi songs. We will look at which of these apps can identify all the songs. And if they can, it would be interesting to see how fast they are and what additional features they offer. Yes, you can use Snapchat to identify the song playing around you. This feature is present for a long time but it’s so hidden under the settings that it’s hard to figure out. To recognize the sound playing around you, open the Snapchat app. Once you get the Snap screen, point the camera to the video being played. If there is no video being played, just point it in any random direction. It doesn’t really make a difference. Hold the camera screen and you should see music keynotes floating around. This is just a cool way to tell you that it is processing the audio. Once you have the song identified, there should be a Shazam pop-up. The Shazam popup gives you the song name, link to play it and some additional information. You can go ahead and share the same Shazam popup card. Results: In my testing for the 5 songs, SnapChat was able to identify all the songs. Although, there was a big delay and I have to wait at least 10 seconds for every song. With the launch of Pixel 3, Google came up with its own song recognition algorithm. And, with the amount of data Google has, I have great hopes in it. So, with the Pixel 3, it identifies the song on the lock screen itself without any external trigger. Now, this feature trickled down to every single Android device. Now, you can do this on any phone with the help of Google Assistant. 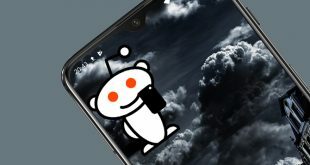 However, the results may vary depending on the quality of your phone’s microphone which is the case in every application mentioned in this list. 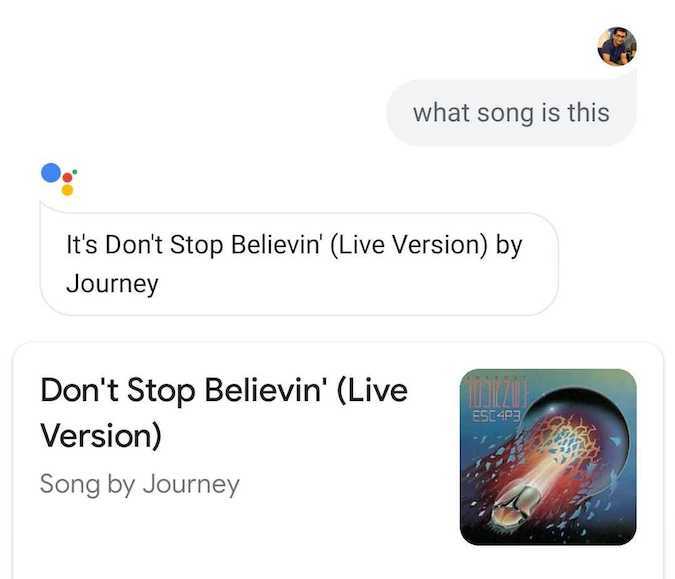 So, to start recognizing the command, you have to ask Google Assistant “Identify this song”. After you have said that, the Google Assistant goes into song listening mode and will start processing the input. Once, it has done identifying the song, it will show you the result. Now, you can either play the song or share it on social media. Results: In my testing of the 5 songs, Google Assistant was able to find out every song. In terms of speed, it would come second to Shazam (we’ll come to that in a bit) but it is definitely faster than all the virtual assistants. If you are an iPhone user, this particular feature is baked into Siri. Starting from iOS 8, Siri has built-in Shazam support, allowing you to easily identify any song that you hear playing. You don’t need to download the Shazam app additionally. To trigger the song listening mode, you have to ask Siri “What song is playing”. Once Siri has identified it, you will get a card to purchase it on Apple Music. Results: In my testing, Siri was able to identify all the 5 songs. However, it was slightly slower than Shazam even though it uses the same API. Now, Shazam was the earliest of the apps built to recognize songs. Siri & Snapchat use Shazam’s API internally to identify music. I am impressed with Shazam and so will you. You just have to tap the Shazam button and let it analyze the music around. It is quickest in the list to identify songs. 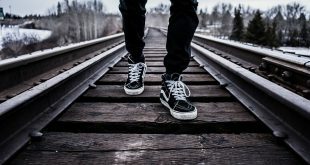 Along with the Song name and links to play it, it goes 1 step further and provides you the entire lyrics as well. Results: In my testing, Shazam was the fastest to identify all the 5 songs and provide their lyrics as well. SoundHound is a fairly different ball game. It is a full-fledged music player which lets you search for songs. It comes with several features such as playing YouTube video inside the app, listening to lyrics and even humming the song for identification. In order to identify the song, open the SoundHound app and tap on the SoundHound button. Alternatively, you can also voice control within the app. Just say, “Ok Hound” to trigger the voice assistant and you can ask it to identify the song. After it has identified the song, you get to listen to it, share it or play the video on YouTube. It also displays lyrics for the song but it was not as good as Shazam. Results: In my testing, it was able to identify all the songs except “Apna Time Aayega by Ranveer Singh” which is a fairly popular Hindi song. In addition to that, it did fail a couple of times but with a retry, I could get it to identify the song perfectly. For people with iPhones, the best option is “Hey Siri”. If you are a Snapchat user, the inbuilt function works as good as Shazam. For Android, you can work with Google Assistant but in case you need more information, you should try Shazam. SoundHound is also a good option with a built-in music player and you can give it a shot. The cool thing is you can hum the lyrics to sound hound but that just seldom works. In case you still cannot identify the song, you can post it on r/tipofmytongue subreddit or WatZatSong, both are community bases group where you can ask real humans to identify a song for you. You just have to hum the lyrics to the website and they will get you back with the results.